A file manager is practically useless without native support for file transfer capabilities. Until now, peer-to-peer transfers could previously be initiated from the Files tab right underneath the various file categories. With today’s update, there is a new dedicated Share tab that better explains the feature with a cute, whimsical graphic. Additionally, the release notes highlight “faster offline sharing with speeds up to 455 Mbps.” which is near 4x transfer speed increase from the previous 125Mbps. 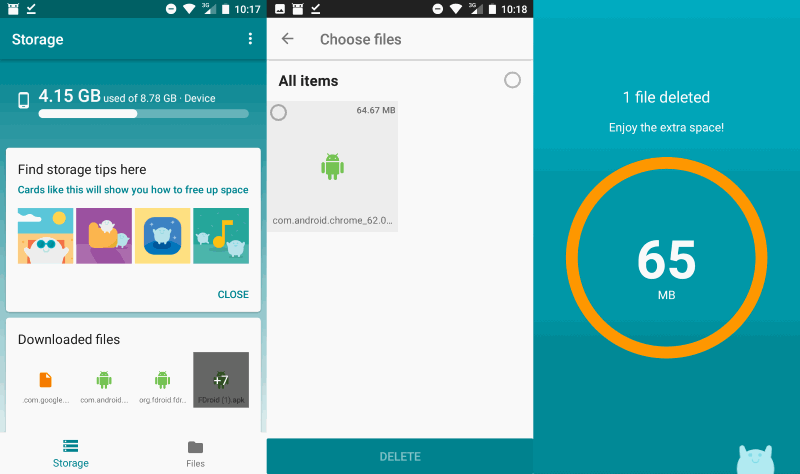 The app now supports file extraction for formats like ZIPs. The feature is a much-needed one, as a lot of content downloaded off the internet is compressed. When coming across a ZIP file in Files Go, a confirmation prompt will appear asking if users want to extract the file with its content organized by category. You should receive the update OTA and the new feature will be available upon installation.